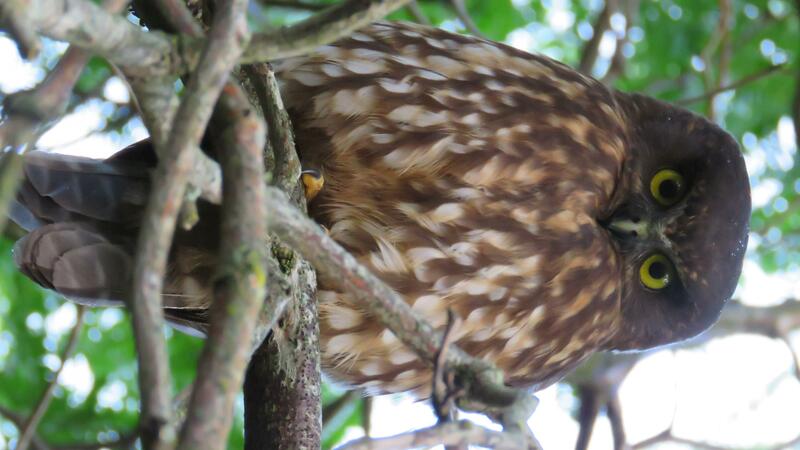 This normally shy fella was in the tree right outside our lounge, managed a couple of pics. Left it relatively undisturbed. P38, 7mmsaum, veitnamcam and 29 others like this. Tiny little buggers aren't they? BRADS and Tombi like this. We have one that lives outside our house from time to time. Best lullaby ever. Had a pair fly into a hut once in the Whirinaki chasing big moths you couldn't hear them flying around absolutely silent. One flew out the other got confused and landed on my bunk and hid in the corner. I picked it up to put outside it was like handling a very soft furred cat. Amazing. 7mmsaum, smidey and planenutz like this. Hope I haven't cursed the lot of you....I've heard of the fantail inside. Could have been a Bat. surprising how many Bats are around if you look for them. 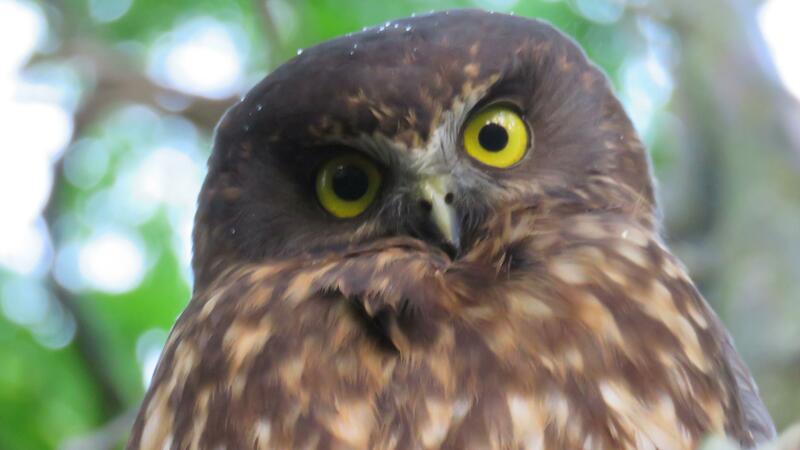 I have been told that if you hear a Morepork call outside your house there will be a death in your family. I hope it's wrong because two sit in a silk tree outside my dining room and pick moths off the window. Scares the hell out of visitors if they are sitting close. Gibo, hotsoup and keneff like this.